SSL Security > Wildcard SSL Certificates > Why are Wildcard SSL so Expensive? Why are Wildcard SSL so Expensive? All the websites need to be protected with SSL certificates as they prevent security breaches. It also helps to build customer’s trust and satisfaction. SSL certificates help to improvise the website ranking in Google search results. If you own a business website then it is essential that it is guarded with the appropriate SSL certificate. You need to get an SSL certificate in India according to your website requirements. Amongst all of this Wildcard SSL are pretty expensive. The domain name SSL certificates can protect only one website. Wildcards SSL, on the other hand, provide protection to the root domain as well as the sub-domains. 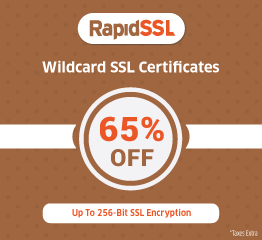 Wildcard SSL saves a lot of time, which is spent in managing multiple certificates. When you own several domains and sub-domain it is a herculean task to manage security for all of them. 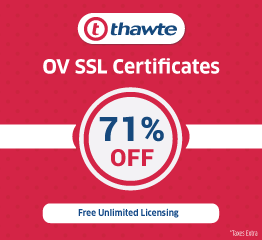 You cannot just handle an unlimited number of SSL certificates for each individual sub-domain. It not just creates a mental mess but also becomes expensive. SSL wildcards ease this process by providing a single SSL that will work for domains as well as sub-domain. It might sound expensive at first but it is way too cheaper as compared to buying individual certificates. They also offer a high level of security as compared to other normal certificates. A wildcard certificate is also easy to use and a lot more flexible. A wildcard certificate can be applied to several other extra services. The services can be added, updated and replaced without buying a new certificate. It also lowers the administrative costs while saving your time. A wildcard SSL triggers the green https in the address bar. Before you invest into any Wildcard SSL you need to understand clearly what your requirements are. You can decide how many sub-domains and domains your website will have. If it is going to be stable and not increase in the coming time then you can go for individual SSL certificates. If you plan to expand your website with time and the number of sub-domains will keep increasing then it will be a better idea to invest in wildcard SSL. 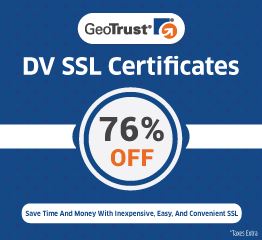 You have about 100 sub-domains and you invest in an individual SSL certificate of $9 each. You will have a total cost of about $900 for buying individual certificates. Apart from this, you will be employing more resources to manage and configure these, adding overhead costs. While on the other hand Wildcard SSL will prevent such hassle and make it much more simple and cheaper. A wildcard SSL has more attention when a CSR (certificate signing request) is generated. Users need to add a common name in a specified format while generating a CSR request.